This unique mood jewelry set comes with a pair of earrings and a necklace. 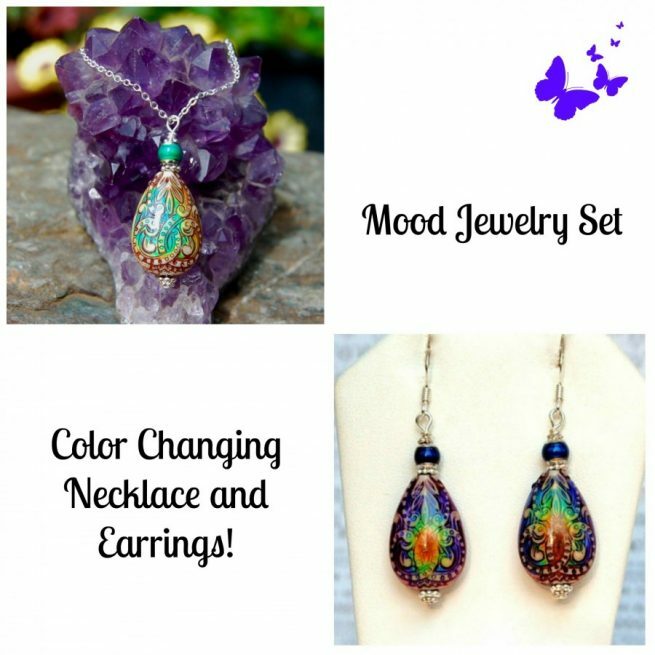 This mood jewelry set is created with high quality color-changing mood beads that change with temperature and are fun to wear! 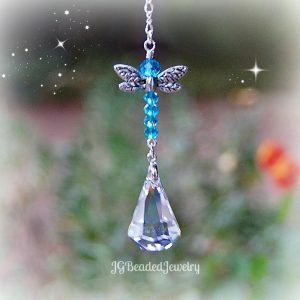 The earrings and pendant are designed with two types of quality mood beads and fancy silver metal beads. The colors change from purple, blue, green, golden-yellow, and more! The mood earrings are approximately 2 inches from the top of the silver ear wire to the bottom of the earring – they are lightweight and made with care and attention to detail! The mood pendant hangs approximately 1.5 inches below the 18 inch silver chain. There is a one inch extender chain in the back which allows for length adjustment up to 19 inches! The mood beads are wire wrapped for strength, made with care and attention to detail!